Give a gift that truely lasts forever. Name a Star is the ideal gift for friends and family of all ages and is perfect for those “hard to buy for” people. 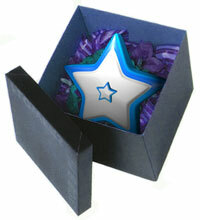 Name a Star allows you to express your feelings with this special gift. Anyone is sure to be overjoyed when they receive this unique, personalized certificate. For just R89 you can dedicate a star in our registry and get a beautiful, personalized certificate to present to your friends or family. The certificate features the star’s celestial coordinates so it can be located easily using Google Sky. If you fork over your R89 what are you getting? Do you imagine a couple of centuries hence astronauts setting course for a star system bearing your name? If so, you’re in for a disappointment–all you have bought is a certificate (actually a pdf file that you’ll have to print out yourself) signifying nothing; even though it might look lovely hanging on the wall next to your doctorate from Thunderwood College and your dog’s rabies innoculation certificate. The IAU frequently receives requests from individuals who want to buy stars or name stars after other persons. Some commercial enterprises purport to offer such services for a fee. However, such “names” have no formal or official validity whatever: A few bright stars have ancient, traditional Arabic names, but otherwise stars have just catalogue numbers and positions on the sky. Similar rules on “buying” names apply to star clusters and galaxies as well. For bodies in the Solar System , special procedures for assigning official names apply (see the IAU theme “Naming Astronomical Objects“), but in no case are commercial transactions involved. As an international scientific organization, the IAU dissociates itself entirely from the commercial practice of “selling” fictitious star names or “real estate” on other planets or moons in the Solar System. Accordingly, the IAU maintains no list of the (several competing) enterprises in this business in individual countries of the world. Readers wanting to contact such enterprises despite the explanations given below should search commercial directories in their country of origin. In the past, certain such enterprises have suggested to customers that the IAU is somehow associated with, recognizes, approves, or even actively collaborates in their business. The IAU wishes to make it totally clear that any such claim is patently false and unfounded. The IAU will appreciate being informed, with appropriate documentation, of all cases of illegal abuse of its name, and will pursue all documented cases by all available means. Thus, like true love and many other of the best things in human life, the beauty of the night sky is not for sale, but is free for all to enjoy. True, the ‘gift’ of a star may open someone’s eyes to the beauty of the night sky. This is indeed a worthy goal, but it does not justify deceiving people into believing that real star names can be bought like any other commodity. Despite some misleading hype several companies compete in this business, both nationally and internationally. And already in our own Milky Way there may be millions of stars with planets whose inhabitants have equal or better rights than we to name ‘their’ star, just as humans have done with the Sun (which of course itself has different names in different languages). So think twice before giving this “gift” to a loved one. She may realise that the thought counts for very little. We have recently been bombarded with advertisements from a person called Patrick Holford who makes his nefarious living flogging unnecessary vitamin supplements to the gullible. It’s not surprising, therefore, that he defends the taking of vitamins in large doses for every conceivable ailment that could possibly afflict the human race, and if one happens to be healthy, then he advocates taking them anyway as a prophylactic measure. The problem with Mr Holford’s campaigns is that he is frequently economical with the truth to the point of comedy. The essential message is supplements don’t really work. They are probably dangerous and simply not worth the money. If you are sick what you need is drugs. Which, needless to say, doesn’t suit Mr Holford’s interests. So he goes on the attack. 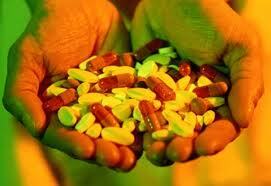 There has not been a single death from taking high dose vitamin supplements anywhere in the world. In the 35 years I’ve been in this field I haven’t encountered one serious adverse reaction to a vitamin, mineral or essential fat supplement. If a supplement has an ‘active’ ingredient (meaning it works) it’s referred to the Medicines and Healthcare Regulatory Authority, and classified as a medicine, and banned for over the counter sale. Well, exactly. The muck Holford flogs isn’t banned for sale over the counter. Draw your own conclusions. But why is the NHS spending money persuading people not to take supplements? Um, because they’re charged with protecting the nation’s health, perhaps? I don’t know about you but I am getting pretty fed up with the money that’s being spent on propaganda to keep the pharmaceutical and medical industry in power while we, the public, get sicker and broker. I wasn’t aware that the pharmaceutical and medical industries were “in power”, but I can quite understand why you don’t like the NHS’s stance on supplements. It makes Patrick Holford broker (well, slightly less stinking rich). Holford was also responsible for advocating mega doses of vitamin C as a treatment for HIV infection instead of AZT. This should give you some idea of the extent of either his crackpothood or, depending on how generous you are feeling, his voracious appetite for profit. Since he isn’t a doctor, I can’t call Holford a quack, but if he were he would be. Don’t waste your money on this flake’s rubbish. A couple of weeks ago Jack Kevorkian, a.k.a. “Doctor Death”, died from complications of liver cancer. Today we have news that Terry Pratchett, the esteemed science fiction author of the Discworld series, is suffering from early onset Alzheimer’s disease, and is campaigning for the right to end his life when and where he likes. Well, why shouldn’t he? There seem to be two arguments against any individual choosing the time and manner of his own death: religious, and some variant or other of the “slippery slope”. The religious argument is simple: only God can ordain the time of our death, and to pre-empt God is a mortal sin. Also inextricably tied into this argument is the notion that humans are fundamentally different to animals by virtue of the possession of a soul, and that what might be “humane” for animals must be rejected for humans on account of our special status. The slippery slope arguments come in two broad categories. The first goes something like this: “If we allow people who are terminally ill to commit assisted suicide, then we’ll have people doing it who are just depressed or having a bad day.” The second is usually framed as the concern that relatives of the euthanasee might take the opportunity to bump off granny in order to get their avaricious hands on her chattels before she is ready to go, or that granny may feel she’s a burden to her family, so she undergoes assisted suicide as a considerate means of relieving that perceived burden. I side with Kevorkian and Pratchett in this matter. Neither of the arguments mentioned above hold water, and even if they did they are trumped by a much more compelling moral argument. The religious wish to impose the sovereignty of their god on everyone, whether or not they believe in that particular god. I do not believe in the existence of any gods, so obviously I must reject as absurd any attempt on the part of the religionists to impose their superstitions on any aspect of my life; and I must oppose as unconstitutional any laws that entrench religious ideals. I find the very notion that we assist animals to die painlessly when their pain becomes severe and call that “humane”, but refuse that same consideration to humans contrary to every tenet of morality, but that does not surprise me–the religious know very little about morality, and what they do know is distorted by the lens of their hand-me-down beliefs. Slippery slope arguments can be disposed of quite easily simply by exposing the fact that they are straw men; they are objecting to matters that are not even on the table–no one is espousing murder, merely individual freedom of choice. Which brings us to the clinching, in my view, moral argument. If we value the “right to life” as entrenched in the constitution, then we must acknowledge the concept of ownership of one’s life and body. Who owns your life and body? The church? Your neighbour? The state? Obviously not. You own it, and therefore you must be the sole arbiter of its final disposition. The corollary to this is that any law that attempts to prevent you from exercising your rights over your body is immoral and should be struck from the statute books, and the prosecution of those assisting others to die should be stopped immediately. 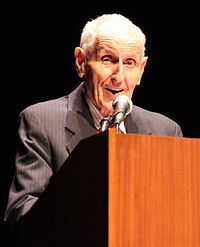 I see that the Catholic church saw it as “both ironic and tragic” that Jack Kevorkian did not himself resort to assisted suicide in his final days. Why? They miss the point entirely. He did not choose to do so, but he should have permitted to so choose if he wished. The religionists really don’t seem to able to get a handle on the logic of this argument at all. The boarding school I attended when I was a small boy employed a Scottish matron to look after our medical welfare. She was rectangular, about four feet tall, had a broad lowland Scots accent, a face like a haggis and a loving heart, not that she would ever own up to that. Whenever we went to see her she would listen to our sad stories, then give us a large, round, blue pill. I always felt much better after this, and attributed the improvement to the pill. With hindsight, I’m sure the pill was nothing more than a multivitamin, and the talk conspired with the placebo effect to produce the improvement in mood. This is only tangentially relevant to my topic for today, which is illegal drugs and the relationship between their users and governments. Last week luminaries such as Judi Dench, Sting and Richard Branson expressed their view that the so-called war on drugs was a failure, and that use of illegal drugs should be decriminalised. Well, guys, thanks for pointing out the obvious–obvious to everyone, that is, apart from those legislators who persist in the delusion that they can legislate human nature. The arguments for decriminalisation are practical: a huge amount law enforcement resources are diverted from fighting other crimes; outrageous profits on illegal drugs mean that the market is perfectly suited to exploitation by organised crime; the trade in illegal drugs cannot be regulated, so their consumers risk injury or death from poor quality merchandise; users are cast out of mainstream society and live dangerously, sharing needles and other kinds of risky behaviour. 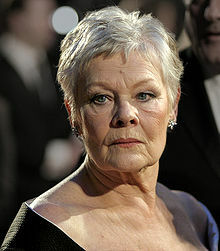 In my view Dench et al don’t go far enough. 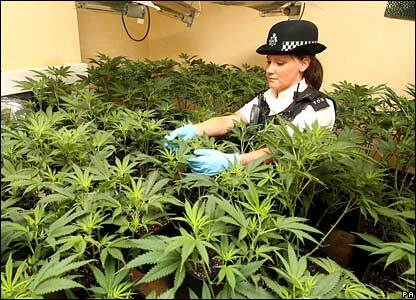 Illegal drugs should not be decriminalised, they should be legalised. Apart from all the reasons given above for decriminalisation, there are compelling moral arguments for legalisation. The first is the lack of consistency in the law. There are no logical reasons why some drugs, such as alcohol and tobacco should be freely available to adults when less harmful substances such as cannabis are illegal. Secondly, there is the question of freedom: if you wish to have a free society, then adults should have freedom over their own bodies, which means the freedom to ingest any substance they like without being dictated to by the state. The function of government is to protect citizens’ rights against other people, not themselves. Free people must have autonomy over their own lives, and suffer government interference only when they infringe the rights of others. “But the the health system won’t be able to cope with millions of addicts!” critics will cry. This is simply untrue–the national fiscus takes in much more from taxes on the sale of alcohol than they expend on treating the fairly small proportion of drinkers who descend into alcoholism. Any drugs can be taxed in the same way as are tobacco and alcohol now, and the profits go to government (disorganised crime) instead of to the criminal cartels. Cynics or conspiracy theorists might make the point that government allows the sale of alcohol and tobacco because it saves a considerable amount of money; the best outcome for government is everyone dropping dead at their retirement parties, saving a fortune in pensions and geriatric care. A legal market in drugs can be regulated by health authorities, ensuring suppliers perform adequate quality control, and that users can be confident of the doses they are purchasing. I’m sure that somewhere in the back of Richard Branson’s mind is the outline of the advertising campaign he will run upon the launch of Virgin Psychedelic, and the profits he will make out of marketing cheap, high quality product to an appreciative public. You are currently browsing the Grumpy Old Man blog archives for June, 2011.